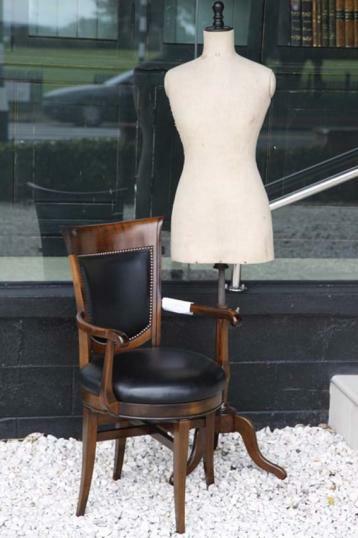 A cherry swivel office chair in black leather. These chairs are great if you have a smaller space or you don't want such an office look. If you are interested in this piece or would like more details please call us on +64 9 529 1660 or email info@js.co.nz quoting #7-09.